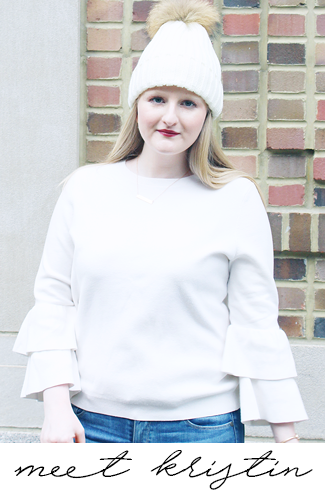 I think scarves are my favorite accessory for fall and winter - they're such a versatile item and a super easy way to change up your look, which is what I love about them. Another bonus is they're typically a rather inexpensive accessory so you can buy a quite a few and always be wearing something different. When the temperatures start to drop you can pretty much guarantee I will always have a scarf on me even if it's just to wear while I'm outside. When it's chilly I love the feeling of having a scarf wrapped around my neck, it's almost like having a cozy blanket that is acceptable to wear in public! As I've mentioned before blanket scarves are huge for fall and winter, but I also still love basic and infinity scarves too and rotate all three styles throughout the seasons. Above I've put together some of the prettiest scarves I've found that will keep you comfy and looking chic. For quite some time I've been obsessed with blanket scarves, but when I put this together it reminded me of my love of super chunky knit infinity scarves and I'm thinking I now need to get one from the list! If I decide to get one it will be a hard choice, but I think the maroon Fringe With Benefits Infinity Scarf might just be my favorite! My one last tip about scarves is I believe every girl should at least have a leopard print scarf, like this one here, because it acts as a neutral and you will wear it over and over. I have a leopard scarf I picked up a few years ago and I literally wear it all the time and always get a million compliments on it! So, if you're looking for a way to spice up your wardrobe this season I definitely recommend picking up some new scarves. 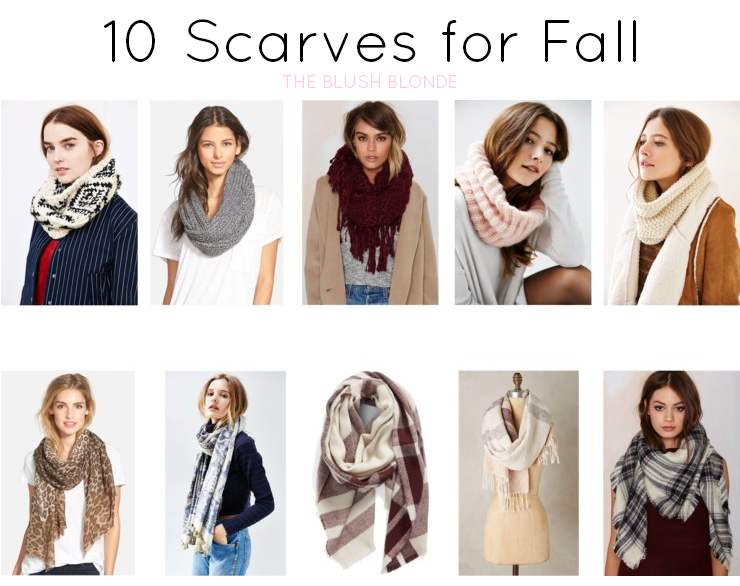 Do you love scarves for fall? I absolutely love scarves! I have one blanket scarf and I ordered another one recently ha! But I love just a simple infinity scarf as well! The pink one is super cute. I always love Tutu Tuesdays! That oxblood scarf from Nasty Gal is divine!